Andrew D Price has spent almost 20 years at Venable with one focus – helping clients to establish, protect and profit from their brands worldwide. Ranked seven years in a row as one of the elite trademark prosecution and strategy attorneys in Washington DC, he was awarded the top gold ranking for 2018 (WTR 1000). Mr Price is noted for a "fantastic global perspective", "first-class knowledge of trademark law" and "superb understanding of clients and their needs" (WTR 1000, 2012-2018; Legal 500, 2013-2017; Chambers, 2017-18). He is "wholeheartedly recommended" for his "smart, dedicated and extremely creative approach. His ability to infuse life into even the driest legal issues is second to none" (WTR 1000, 2014). Mr Price represents foreign-based clients, entertainment clients, non-profit clients, education clients and large consumer and business products clients. His practice emphasises clearing, registering, licensing and enforcing trademarks; managing large trademark portfolios; and leading strategy in the field of brand creation and evolution. Mr Price’s practice includes bringing and defending opposition and cancellation actions before the US TTAB. He also works closely with the firm’s IP litigation group to bring and defend trademark-related lawsuits, including preliminary injunction motions, in the United States. Abroad, Mr Price oversees a personal network of top foreign lawyers undertaking the full range of trademark work. He is known for his command of trademark law and its intersection with business, creativity, global perspective and ability to balance detail with the big picture. 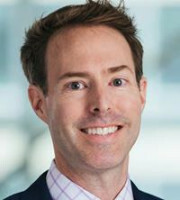 Dedicated to providing strategic counsel, client service and value, he is an “arch strategist” who achieves “the perfect balance of being detail focused without losing sight of the big picture” (WTR 1000 2013 and 2015) and “can quickly identify key issues and look for risks, options and solutions with remarkable skill” (WTR 1000 2017).